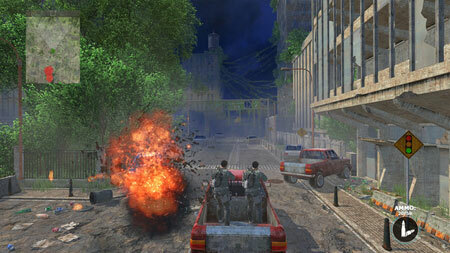 Special Counter Force Attack is a fast-paced action game from Bleeding Edge Studio. Get engaged in the plot to overthrow the oppressive rule of the drug cartel threatening the city. Make your way through different environments and brave the variety of tough game modes to get ever so closer towards bringing peace to the city. Join the special force team to take down a major threat in this gritty, boots on the ground shooter. You could choose from two modes in the game. Assault Mode will let you lead on head first and Stealth Mode where staying tactfully hidden is the key. Assault Mode – This mode is all about charging into the enemy area and giving them a taste of your bullets. Don’t even give them a chance to know what hit ’em. Brace your guns and blast through doors in this action-packed, adrenaline pumping mode. Stealth Mode – Sneaking is key here. Don’t let the enemies know you’re there. Be quieter than your own shadow while you play covert missions and equip real-world weapons. Strategize your plan of action to stealthily progress through this mode. Use the environment to your aid and hide, then bring it for the unknowing enemy. This entry was posted in PC Games, Walkthrough and tagged Special Counter Force Attack Cheats, Special Counter Force Attack Gameplay, Special Counter Force Attack Guide, Special Counter Force Attack Strategy, Special Counter Force Attack Walkthrough by Marvin. Bookmark the permalink.